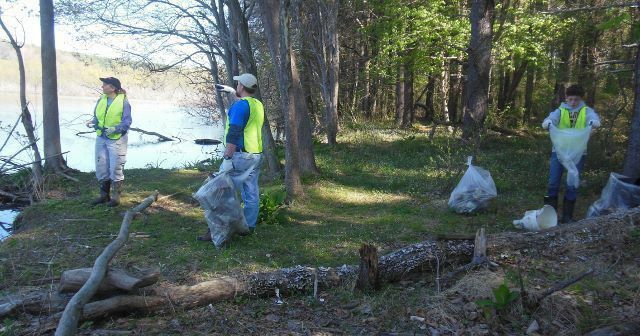 On May 2nd 2015, Linda Swank led a small group on a clean-up along the east bank of the reservoir. Four of us worked southwards from Worth’s Bridge Road and four northwards from Jackson School Road. In a couple of hours, we hauled out 1025 lbs of trash including 6 tires and an inflatable dinghy, filling the dumpster at Fishing Headquarters to overflowing. We had hoped to meet up, but did not come close, and will be returning on April 23, 2016 for another clean-up. 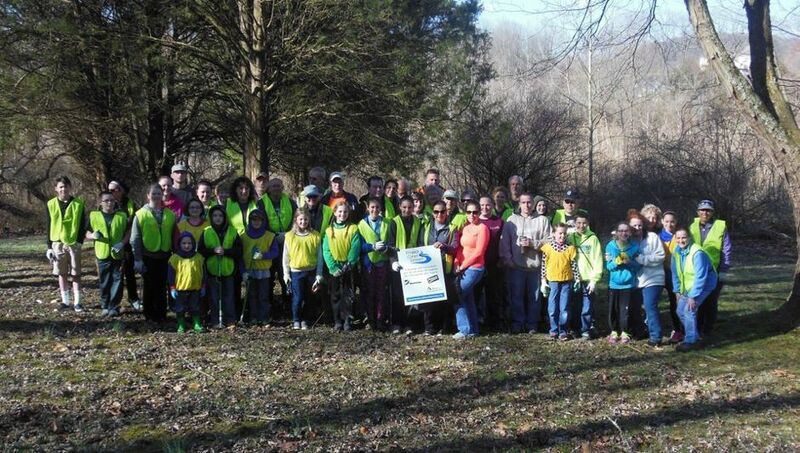 On April 11th George Raley, a resident of Octoraro Lakes, organized a team of 36 adults and 20 elementary students and cleaned a 3 mile stretch of road at the Richardsmere Gauge Station. They collected 1880 pounds of trash in 3 hours. Thank you George! George and the team at the start of the clean-up. Rupert Rossetti & Rising Sun Parks & Rec. 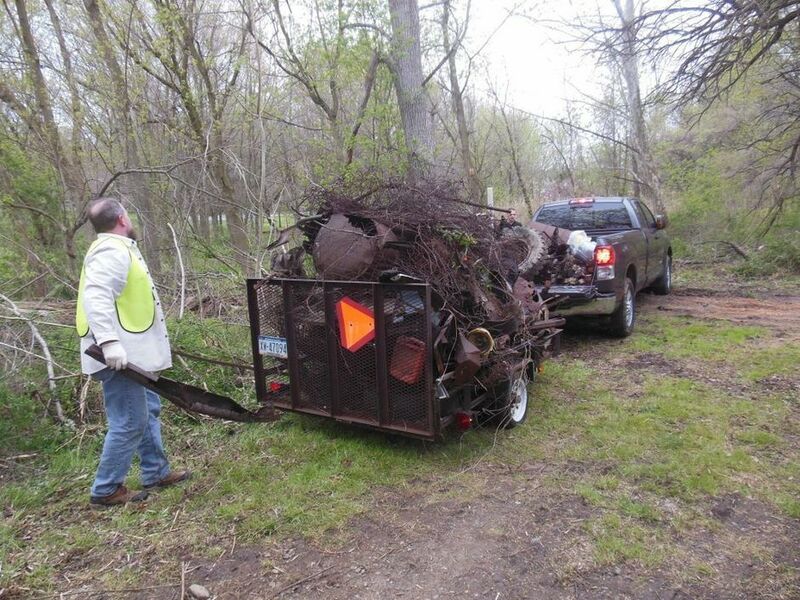 Commissioner Dave Warnick organized a team of 14 and cleaned up a lot of tires, trash and scrap metal from the edge of a forested wetland in the town's Veterans Park. The 17 tires, many of them on rims, weighed in at 1380 lbs and the remainder has yet to be dropped off at the Cecil County Landfill, which has granted us waivers for the normal fees. Quite a load for that trailer!